After a yearslong debate in Fairfax County, chinchillas, hedgehogs and hermit crabs are now legalized as pets. WASHINGTON — Chinchillas, hedgehogs and hermit crabs were at the center of attention at a Fairfax County Board of Supervisors meeting Tuesday night. After a yearslong county debate, the exotic animals are now legalized as pets in the Virginia county. Arguing in the animals’ defense Tuesday was a group of seventh-graders from across the county. “Hedgehogs are not harmful and are not dangerous,” said Rhiannon Hughes, a student at Carl Sandburg Middle School. Mike Bober, president of the Pet Industry Joint Advisory Council, argued hedgehogs aren’t any different from other pets and that claiming they are difficult to care for is dangerous and inaccurate. “Hedgehogs can be cared (for) through widely available products, through education and through an effort to remind people that when they take on an effort to care for an animal, whatever that animal is, they have a responsibility,” argued Bober. Christina Anderson with the Fairfax County Animal Services Advisory Commission argued the desire to own an exotic animal is just part of a fleeting trend. “That is the perfect recipe for people to think it would be fun to own one. Nothing could be further from the truth,” Anderson said, adding that caring for hedgehogs is indeed hard. 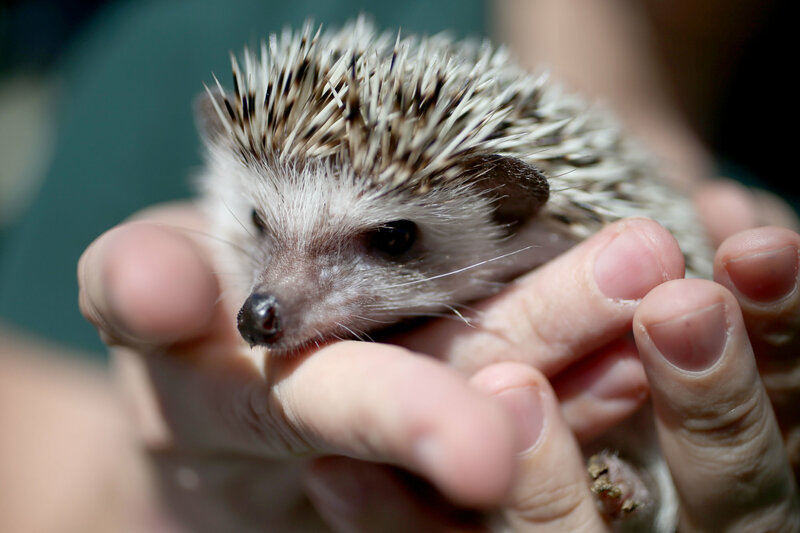 The pet debate began in Fairfax County in 2001 with the question of whether domestically bred African pygmy hedgehogs and hermit crabs should be considered pets. The idea was struck down after it was decided they were “wild animals” and keeping them as pets may be considered inhumane. Hedgehogs, chinchillas and hermit crabs join the list of “commonly accepted pets” on the county. Other pets on the “commonly accepted” list include the following: rabbits, hamsters, ferrets, gerbils, guinea pigs, mice, rats, turtles, fish, dogs, cats, birds like canaries, parakeets, doves and parrots, worm or ant farms, non-poisonous spiders, chameleons and similar lizards and non-poisonous snakes. Pet chickens, ducks and geese under two months old also are permitted.